[GSoC2018|OrbitDeterminator|Jorge] Week #1-2 – Look up to the sky and marvel! What matters to me, is not merely to impart to the reader what I have to say, but above all to convey to him the reasons, subterfuges, and lucky hazards which led me to my discoveries. When Christopher Columbus, Magellan and the Portuguese relate how they went astray on their journeys, we not only forgive them, but would regret to miss their narration because without it the whole grand entertainment would be lost. As a first thought to implement this, since these formats are defined via columns, my idea was that it might be safer to read these files using Python’s native file reading functions. And I was indeed able to read formatted files and save them into a Python list, but then I would have had to convert that to e.g. a numpy array, or something similar, in order to compute interesting stuff from the data. So, as a second option, and after learning more about numpy, I thought that the `numpy.loadtxt` function might be the best approach, interpreting the whitespaces as delimiters and read each element as a string. This worked for a particular case I was working with, but I wasn’t sure if this approach would work for other formats. And then, I worked on a third attempt at this. I realized that there was another numpy file-reading function, `numpy.gentfromtxt`. I liked this function better, since it tolerates files with missing values, as well as admitting files formatted with fixed-width columns. So, at the end, this was the approach that I took, and went on to code file-reading functions for some relevant formats which we will be using during the summer. So now that we have the ability to load actual position data for satellites and asteroids, the next step, besides refining what I already coded, will be to implement orbit determination methods which take into account this kind of observational data from optical instruments, i.e., telescopes. And once this is done, the next step will be to code an orbit determination subroutine for radar observations, which are more subtle to reduce, but we will talk about this in a future blog post. Incidentally, these last few days in Mexico City have been unusually warm; but tonight this weather, with clear skies and soft winds, allowed one of the most beautiful sights of the rising Moon in Mexico City since I can remember. Let’s not forget to always look up to the sky and marvel! Autor Jorge PerezVeröffentlicht am 31. Mai 2018 31. Mai 2018 Schreibe einen Kommentar zu [GSoC2018|OrbitDeterminator|Jorge] Week #1-2 – Look up to the sky and marvel! Hello everyone. I’m Pedro Portela, a Software Engineering undergraduate student at ISEP, Portugal. This year I applied for the first time to the Google Summer of Code Program and even though only 2 weeks have passed, I must say that I have been having a great time. In this blog post, I’m going to talk a little about how the past days have been and how I handled my work and schedule. My end goal for these dev diaries is for future gsoc students to read and get an understanding of how working for this program and AerospaceResearch looks like. A little introduction since this is my first post: I am Vinay, an Electronics and Communication engineering student from IIIT Bangalore, India. 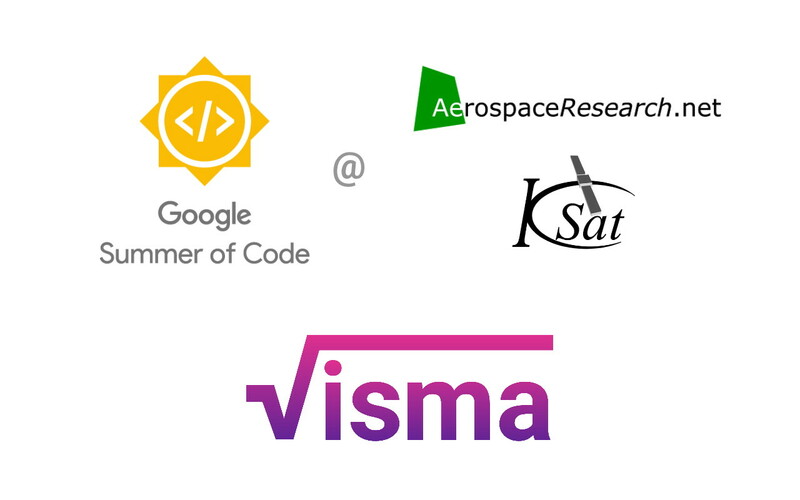 I am working for AerospaceResearch.net under the Google Summer of Code (2018) programme. This organization was among very few organizations that caught my eye, owing to their very interesting projects in my fields of interest. I really believe in the core ideas of this organization, which is a great motivation for me. So far, it has been a great experience working on my project under the mentorship of Mr. Andreas Hornig. This blog post will look at how synchronisation signals are being detected in the NOAA APT transmissions accurately. [GSoC2018|OrbitDeterminator|Arya] Week #1-2 – Hello World! I have been selected to work for AerospaceResearch.net under the Google Summer of Code program. Since I am a new contributer here, I think I should give a short introduction first. I am Arya Das, an undergraduate student of computer science at Indian Institute of Technology, Patna. I am highly passionate about space. I am also interested in robots, flight simulators, playing piano and swimming. In this blog post I am going to describe my experience so far at AerospaceResearch.net and the project I am working on. Autor Arya DasVeröffentlicht am 28. Mai 2018 12. Juni 2018 Schreibe einen Kommentar zu [GSoC2018|OrbitDeterminator|Arya] Week #1-2 – Hello World! I came across AerospaceResearch.net when browsing through GSoC organizations. It offered projects both in my field of interests and academic domain. I had to make a hard choice between DirectDemod and VisMa and I finally chose VisMa as my project for GSoC. This is my first GSoC dev log (more to come). Here I will be blogging about what I learned, what I have done and what I will do. So following is the work I have done in VisMa. I used the community bonding period to fix minor errors and get more familiar with the source. I restructured the code base so that new modules could be accommodated. Code duplication was reduced using proper imports between modules. New modules like calculus, transform, solvers, gui etc were initialized. A token IDing module was written to handle equations during calculus operations.